Heated Vinyasa. A dynamic system of practicing asana, linking breath to movement. Builds heat, endurance, flexibility, strength and concentration. Sequencing is often built around sun salutations. Not suited for absolute beginners. Love this class and studio! wasn't a very engaging or energetic class. definitely not recommended for beginners. if you don't know poses you'll be left behind. Yvonne's knowledge and guidance for both the spirit and body are exactly what I was after today. Jeremy was a great instructor and loved the pace of the class! Always a great class. Very dynamic and new poses. GREAT STRETCHES. Great quad stretches and hip openers. Nice pace and thoughtful structure to the flow. One of the better drop-ins. Such a nice, mindful flow. Good class, too crowded though. Hard to follow. Jeremy Falk is an incredible instructor. He guides the energy masterfully and mixes up the classes nicely. Highly recommend him and yoga tree. 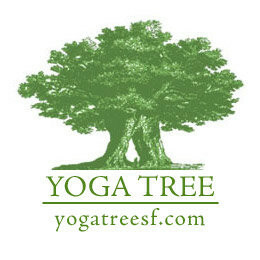 Mark is the best yoga teacher in SF hands down! This is not a heated studio! Normal temperature and you don’t break a sweat. It was a nice class but misleading description . I loved this class. Lauren has a deep knowledge for the practice - her sequence was thoughtful and super challenging. Felt like i was floating in savasana. ???????? Nat is one of the best teachers out there: great sequencing, sooo soulful, and clear instructions with options. Robin is so encouraging and warm! And her class is so challenging, definitely a great workout. Loved it! Jason is an amazing instructor! Such a great class, as always! Yvonne is the best teacher. I love the way she teaches and breaks down. Uplifting both mentally and physically. Danni is amazing, this is one the best yoga classes Ive ever been to- clear instruction, great dharma talk, encouraging, yet challenging!